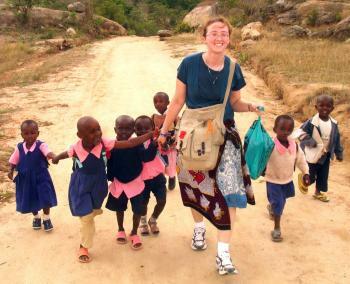 Service in the Peace Corps is a life-defining leadership experience. Since 1961, the Peace Corps has shared with the world America's most precious resource - its people. NMSU's main campus is located in the city of Las Cruces, New Mexico in Dona Ana County. Las Cruces' population is approximately 91,800, and it is strategically located about 40 miles from El Paso, Texas and Ciudad Juarez, Chihuahua, Mexico. Dona Ana County, along with five other counties in southern New Mexico make up the New Mexico border region, with three of the counties (Dona Ana, Luna, and Hidalgo) sharing a physical border with the state of Chihuahua, Mexico. The population of this border region is 312,200 with more than 54% (approx. 167,400) of Hispanic origin. Within this geographical region exists dozens of "colonia" communities, which are characterized as rural unincorporated subdivisions within 150 miles of the U.S.-Mexico border that lack a potable water supply, adequate sewage systems, and safe and sanitary housing. It is estimated that as many as 80,000 (45%) of Dona Ana County residents live i n these unincorporated communities. New Mexico State University attracts the best students from all over the state, country, and world. Students come from all 50 states and 71 foreign countries. NMSU is the only Land Grant university that is classified as Hispanic-serving by the federal government and minority enrollment at the main campus is more than 49 percent. There are over 16,500 students enrolled at the main campus in Las Cruces.